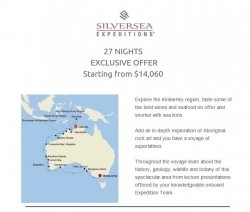 Explore the Kimberley region, taste some of the best wines and seafood on offer and snorkel with sea lions. Add an in-depth exploration of Aboriginal rock art and you have a voyage of superlatives. Throughout the voyage learn about the history, geology, wildlife and botany of this spectacular area from lecture presentations offered by your knowledgeable onboard Expedition Team. 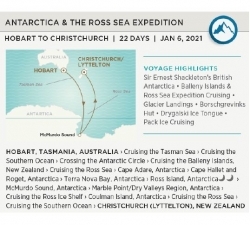 Rarely do you get the chance to cruise to the Antarctic from Australia. Crystal Endeavor is now offering you this chance! The BRAND NEW Crystal Endevour will make her maiden voyage in 2020/21 and one of her amazing cruises is this 22 day cruise to McMurdo Sound.